This training explores the intentional practice of cultivating interdependence in our communities, organizations and movements. We learn practices for bonding and empathic communication that allow us to feel whole and connected, and to foster a safe and trusting community in the midst of a complex and painful world. Through storytelling and somatic movement we come to embody stories of connection in our lives, our bodies and our relationships. 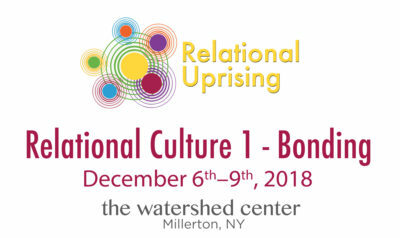 This training will prepare participants to teach and facilitate basic storytelling and resonance practice as a first step to spread relational culture within social justice communities. This workshop is the first level of the Relational Culture Training Series. We highly recommend you attend this training in teams from your organization, community or movement. Cost includes shared room and delicious meals at The Watershed Center ($300) and tuition and training manual ($250). Financial Support: We want this training to be accessible to anyone who wants to attend, regardless of ability to pay. A limited number of partial scholarships are available for those with financial need, as well as support and guidance on fundraising to cover tuition. We prioritize volunteer organizers, low-income people, people of color and communities that experience other structural barriers to access for funding. If you’d like to apply for a scholarship, please fill out the training application first, and then fill out the Scholarship Application.